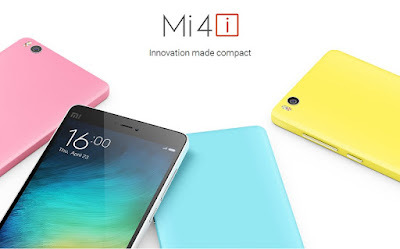 Not so long ago when XiaoMi Mi 4i has been launched as flagship device by XiaoMi . Though it has become a point controversy, it's all together a different thing. Many people are asking for buying Mi 4i device but really fears for it at the same time. Since there are many issues faced by many peoples. I am using MI 4i myself and I am here stating factor that are really essential while one take decision for buying mobile. Battery is most important aspect when it comes for mobile selection. Many readers ask us very first question for any smartphone is How Is Their Battery Life? I am also user of Mi 4i my device provide me very good battery life. Once I charge in morning around 80% since I am blogger I use 3G or internet all the time for checking mails, social platforms, instant messenger and many other activity on my smartphone. Till the night time my battery brought down to 20%. Due to MiUi featuring it brought down the background activity to minimal when your device is ideal. This saves lot of your battery. Not only battery life but how much time does it take to charge is also important aspect of any smarpthone these days. Mi 4i comes with fast charging feature which really works like charm. It charge battery really fast and provide good battery life. I don't think you will need power-bank more if you have Mi 4i in your pocket. It comes with the best price point in the class. Initially when I bought the Mi 4i it cost me 13000 INR (around $200). But eventually the price has fallen with the time and still it is considered as best in it's class. You can buy it from Wholesale website of volumebest. Mi 4i equipped with Sunlight Display that helps you to see dark area of the screen in Sunlight. This will be helpful when you are at low brightness out side and need to check you mobile instantly. Every-time you don't have to change your brightness setting. This feature will automatically do it for you. Beside that it provide you 5 inches display with Full HD (1080p) is very impressive. With the improved camera lenses everyone having smartphone want to become photographer this days. Mi 4i provide excellent camera quality and also equipped with dual tone flash. With it's 13 MP rear camera and Dual-tone flash it captures good images even in dark places. Even it's 5MP camera provide good picture quality. It also allow you to recored the video with HD and Full HD resolution. MiUi is we can say a frame work that run on top of Android operating system allow you excellent functions and feature to overcome the flaws in Android OS. Mi 4i also allow you to set custom theme. MiUi is responsible for optimizing operating system performance, Battery optimization and optimized RAM management. Beside this Mi 4i equipped with Android 5.0.2 Android Lollipop. It also provide all functionality and features of Android OS too. So here is all I need to say fro your guidelines. If you have any query or any questions do comment below. Stay tuned fro latest update. Thank for reading.